Union Pacific Corp. on July 19 reported second-quarter net income of $1.51 billion, a 29% increase over $1.17 billion in the year-ago period. Diluted earnings per share was $1.98, up 36% from $1.45 in the second quarter of 2017. Analysts’ estimates called for $1.94 a share. The railroad’s revenue grew 8% to $5.67 billion, compared with $5.3 billion in 2017. That exceeded the $5.6 billion analysts expected. While earnings were better than anticipated, CEO Lance Fritz said there still is room for improvement. He pointed to a shortage of train crews, relay delays at switching yards and a collapsed tunnel in Oregon, which forced the railroad to reroute traffic through Utah. Union Pacific’s operating ratio, an industry benchmark of efficiency, worsened to 63% in the first quarter of 2018, compared with 61.9% in 2017. A railroad’s operating ratio is calculated by dividing operating expenses by total revenue, with lower numbers indicating greater efficiency. 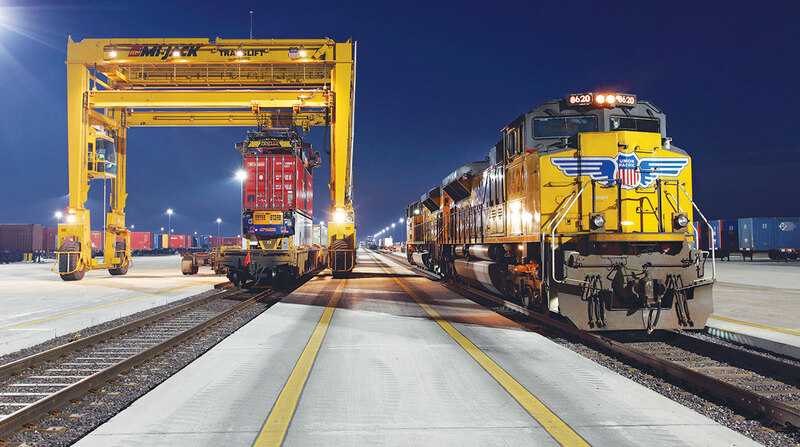 Union Pacific’s expenses increased to $3.6 billion. Fuel costs, which jumped 48% to $643 million, accounted for much of the increase.